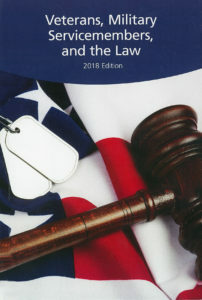 In February 2018, the Oregon State Bar published Veterans, Military Servicemembers, and the Law, 2017 Edition, in which Reinisch Wilson Weier PC Attorney Mary E. Briedé co-authored a chapter entitled, “Helping Servicemembers on Active Duty and Veterans as Civil Litigants, Consumers, and Taxpayers.” The book assists practitioners who are providing legal services to veterans, servicemembers, and their families, developed in conjunction with the Oregon State Bar Military and Veterans Law Section. Mary’s chapter is an introduction to practitioners about certain benefits and protections under both Oregon and federal law available to active duty military personnel and veterans. 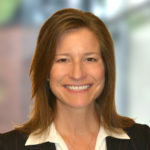 Specific topics include a discussion of the Servicemembers Civil Relief Act, tolling of the statute of limitations, the right to cancel motor vehicle leases, protections from nonpayment of premiums on life and health insurance policies, protection against mortgage foreclosures, education benefits for postsecondary students, and protections against collection of income taxes. You may order the book online through the Oregon State Bar Legal Publications website by clicking here.